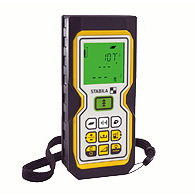 LaserStreet.com: STABILA Laser Measurers – FREE SHIPPING and the Lowest Gauranteed Price on STABILA LD300 and STABILA LD400! Trade & $AVE!!! - Trade in your old Laser Meter for a new DISTO Laser Meter Click here for Trade-in details! - a new lower cost, very robust, accurate laser measurer! 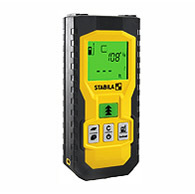 STABILA® has added to their line up of ruggedized tools the all new STABILA LD300 and STABILA LD400 Laser Measurers. These long-distance laser measuring devices are the first tools developed with true laser measuring capabilities priced to make the advantages of laser distance measuring available to a broad group of consumers. Fast, accurate, and suited for every-day measuring tasks often performed by Real Estate Agents, Appraisers, Contractors, and the Do-it-Yourselfer. LD300 - Buy Here & SAVE! LD400 - Buy Here & SAVE!